Every 20 years the Constitution Revision Committee (CRC) convenes to gather, review and eventually propose amendments to the state constitution. For about a year that group of 37 members who are appointed by the governor, legislative leaders and the chief justice of the state Supreme Court, have been touring the state, holding hearings, and accepting amendments to be considered as well as proposing a few of the their own. 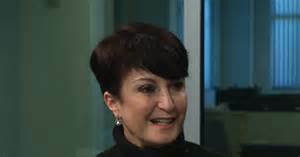 Pamela Goodman (above) President of the Florida League of Women Voters is joining Steve and Lew to separate the good, the bad, and the downright dangerous proposals that have emerge from the culling process and could end up the ballot this November. Needlessly to say, this august group has decided to pass on anything that could be remotely considered gun control, like banning assault weapons, claiming procedural conflicts. However, weakening public schools in favor of charter and private schools and ceding local home rule to Tallahassee and big business are all on the table. Tune in and listen to what Pamela has to say. Later, California singer, songwriter and activist Don Arbor will be on to talk about the inspiration for this music and how he became the opening act for screenings of Greg Palast’s documentary, The Best Democracy Money Can Buy.